Here at VERCIDA we conducted research to find out how our clients are tackling sexual orientation and gender identity equality in the workplace. Who is going the extra mile to ensure equality, opportunity and fair treatment for all, irrespective of physical or hidden disability. Here are our Top 10 Disability-Inclusive Employers of 2018. Allianz UK is proudly an official partner of the team and the British Paralympic Association. The British Paralympic Association has a vision to inspire a better world for disabled people through sport and we're excited to be supporting them in that ambition. But this is about more than sponsorship for us – it inspires us to keep improving our offering as the insurer of choice to a broad community, both as an employer and through our products. Allianz are Disability Confident employers and work with Business Disability Forum to further support their employees. To find out more about diversity and inclusion at Allianz click here. Aon's Workability business resource group (BRG) is formed from, and run by, colleague volunteers. Workability is open to all colleagues, but especially welcomes those with a disability and those caring for a disabled friend or relative. Aon also run a Mental Health Group which also is a colleague led organisation which strives to drive awareness and support mental health issues both in and out of the workplace. These groups meeting regularly to raise awareness, advise on policy development, to improve recruitment and retention of people with disabilities and to provide support for employees who have a disability or are caring for relatives or friends with disabilities. To find out more about diversity and inclusion at Aon click here. For the second year, Lloyds Banking Group are recognised as a leading employer by the Business Disability Forum, retaining their Gold Standard Benchmark and running a ground-breaking Workplace Adjustment programme that has supported over 18,000 colleagues to date. They work closely with Remploy to provide a work experience programme for people with disabilities, and are a proud partner of the Power 100 which celebrates Britain's most inspiring and influential disabled people as role models for others. Lloyds Banking Group also work in partnership with the Business Disability Forum. To find out more about diversity and inclusion at Lloyds Banking Group click here. BEIS are committed to making their workplaces accessible and will assist any employee with their disability, long-term health conditions and will make reasonable adjustments. These adjustments may include physical changes to the workplace, e.g. rearrange desks so a wheelchair user can get around the office more easily, modify or provide equipment such as voice recognition software, specialist chairs or desk aids, provide services such as a sign language interpreter or support worker, reallocate tasks to other members of staff, and/or change assessment procedures to make sure colleagues with disabilities are not put at unfair disadvantage, e.g. someone with dyslexia may need longer to complete a timed written test. BEIS have also reached Disability Confident Leader, level 3 and work in partnership with the Business Disability Forum. To find out more about diversity and inclusion at BEIS click here. In 2018 UK Athletics (UKA) hosted its first UKAbility meeting at the Alexander Stadium to begin the process of ensuring people with a disability or impairment feel included in all areas of the sport. As part of their commitment to deliver the best ‘Summer of World Athletics’, they wanted to ensure all their staff was disability aware; so ahead of the beginning of the World Para World Championships they arranged a ½ day Disability Equality training session with Nimbus led by Martin Austin Managing Director and Founder. UK Athletics have continued to deliver as part of their Disability Confident Leader commitment, sending two members of staff attending a St Andrew’s Healthcare inclusion event. To find out more about diversity and inclusion at UK Athletics click here. The Disability Network at Bank of England meets regularly to discuss all disability related matters. These could include making workplace adjustments, encouraging disability disclosure, raising and maintaining disability awareness in the Bank, improving accessibility, dealing with any potential discrimination, career development, personal safety, and recruitment and induction processes. BoE also work in partnership with the Business Disability Forum and Disability Confident. To find out more about diversity and inclusion at Bank of England click here. Aviva's goal is to increase awareness and acceptance of Visible and Invisible disabilities. We are a community for colleagues with an interest in disability, who support and help each other to reach our potential. This year to mark Global Accessibility Awareness Day Aviva's UX Research team hosted an interactive workshop in their UK Digital Garage to raise awareness of online accessibility and teach our staff about how to create inclusive design. Kevin Malki was registered totally blind at the age of twelve. Having graduated in Mathematics at the University of Nottingham, Kevin started to look for employment. He quickly discovered that potential employers were reluctant to consider a blind applicant. Fortunately, Aviva took a very different approach and were prepared to explore the possibility with an open mind. Kevin was offered a role as a trainee actuary in October 1983 and is still working for them 34 years later. Holding several roles over the years and working with a multitude of talented people Kevin's disability has never been a barrier. To find out more about diversity and inclusion at Aviva click here. Environment Agency has the ambition to be the top employer in the country for equality, diversity and inclusion. One of the key focus areas to address this inclusivity was the support given to their employees when a workplace adjustment might be required to help them undertake their work. In order to deal with this, the Mobilise Network group was formed and a review was undertaken, this involved identifying and reviewing all the current adjustments available and reviewing current practices. Extensive external research was made including taking advice from the Business Disability Forum (BDF). Environment Agency also consulted with their employee disability networks gaining their feedback. These actions were all fully supported by Toby Willison, the Environment Agency Executive Manager disability champion. To find out more about diversity and inclusion at Environment Agency click here. 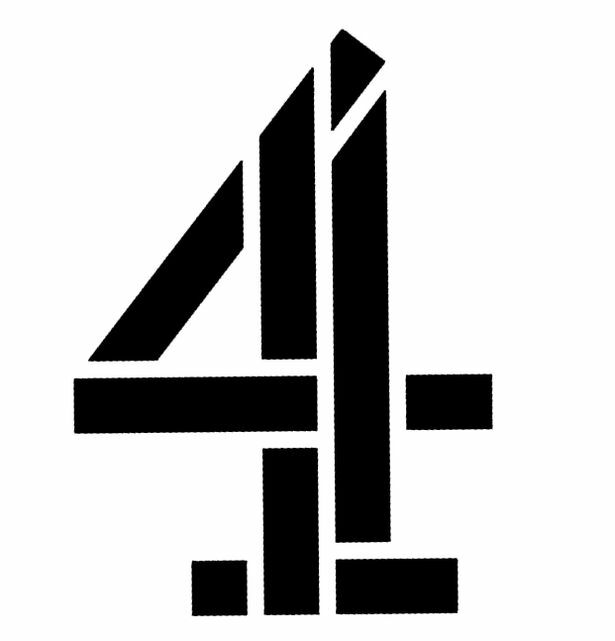 Channel 4 currently offer a 4Mind & 4Purple support group. Channel 4's 4Mind group is their Mental Health Employee Network, This year as part of their Mental Health Awareness Week activity for C4 staff welcomed double Olympian Jack Green to the building, Jack talked about the importance of learning from failure and his inspirational personal journey, Channel 4 staff are also trained in mental health first aid. 4Purple, the disability network is an internal community at channel 4 to create an open conversation about disability and to educate their colleagues at Channel 4 on the wide variety of disabilities that exists within our company. They host a number of events throughout the year to ensure that all staff have a solid understanding of our purpose, capability and our ambitions. Channel 4 aspire to create an open space to allow people to speak candidly about their disability experiences and where we welcome questions from those who wish to learn more. To find out more about diversity and inclusion at Channel 4 click here. Network Rail achieved Level 3 Disability Confident employer. By becoming a Disability Confident leader, they gained recognition among peers organisations. Network Rail act as a champion within their local and business community, their supply chain and networks. We aim to show disabled people that we are serious about leading the way and about helping other businesses to become Disability Confident. From 16-20 July this year Network Rail is celebrated Disability week. Can do, network Rail's employee-run support Network for colleagues with disabilities are facilitating a week of events and activities to help everyone think differently about disabilities, whether physical or mental, visible or non-visible, and how they can support colleagues in the work place or personally. Network Rail also commit to creating an inclusive environment through the employee network known as CanDo. It brings together people with disabilities and anyone who wishes to support an inclusive environment. This employee network promotes the valuable contribution that those with disabilities make within the business and the wider rail industry; helping to remove barriers and, break down stereotypes and prejudices. Members are encouraged to use CanDo as a platform to raise concerns, highlight best practice and promote diversity to Network Rail colleagues. To find out more about diversity and inclusion at Network Rail click here. Read about the VERCIDA Most-Inclusive Employers Awards.